A series of Muslim Outreach Summits are planned coast-to-coast by the Obama administration to get feedback from Muslims on how the government can better serve them and their specific desires. The president’s adopted home town of Chicago will be the first stop. WND initially discovered documents referring to the Muslim summits while examining a U.S. Department of Education procurement of data-gathering and report-writing services. The services are specific to information being assembled by the White House Initiative on Asian Americans and Pacific Islanders, or WHIAAPI, which Obama created via executive order in 2009. Upon closer inspection, however, WND learned that the Education Department explicitly will direct the selected contractor to chronicle findings and recommendations gleaned from the Muslim Outreach Summits. Complementing the prior effort will be the three “regional convenings,” tentatively scheduled June 15 in Chicago, June 22 in San Francisco and June 29 in New York City. The department, in response, acknowledged that separate authorizing legislation does not exist. The vendor-question document further states that Obama’s “faith-based outreach summits” will help the government to provide federal resources to “underserved AAPIs” while determining their ongoing needs. When Obama signed the executive order Oct. 14, 2009, he also launched a separate President’s Advisory Commission on AAPI as well as a Federal Interagency Working Group. It hopes to address the needs of those communities by increasing participation in a broad swath of programs, such as those involving art, business, education, environmental and justice programs. Sometime after the three Muslim Outreach Summits, the chosen contractor will develop and then present its summary report to the president and to newly appointed WHIAAPI commissioners. The contracting action – the first of its kind since its inception in 2008 – will help lay the foundation for the initiative’s future work, the document says. The nightly rioting in Stockholm that establishment media ascribes merely to “youths,” is being carried out by Muslim immigrants. Muslim immigrants in Sweden now total slightly more than 6 percent of the population, providing additional support for the maxim that a Muslim population of 5 percent is a tipping point for political turmoil. In other countries, Muslim immigrants at that point have begun to seek concessions, including, typically, the right to govern themselves by Shariah, or Islamic law. In Sweden, the Muslim population has doubled in the last 14 years, with Muslims now accounting for over 41 percent of Sweden’s total population growth. The growth reflects not only increasing Islamic immigration but also a disproportionately high birth rate in a nation in which the native birth rate is trending toward zero-growth. According to European Union statistics, an estimated 574,000 Muslims lived in Sweden in 2012, making up 6.05 percent of the population, compared to 1998, when there were 284,000 Muslims, or 3.21 percent of the total population. The EU currently estimates that at current rates of growth, the Muslim population will reach 40 percent of the total population in Sweden by 2030. While Sweden does not keep welfare statistics specifically for Muslims, experts estimate from available government welfare statistics on the foreign-born that somewhere between 70 and 80 percent of Sweden’s welfare payments go to Muslims, with the percentage on the rise. In Stockholm, the rioting in recent days has centered on Husby, a low-income suburb of Stockholm with some 12,000 residents. Approximately 80 percent are first- or second-generation Muslim immigrants from Turkey, the Middle East and Somalia. Swedish police estimated that about 200 Muslim youths were responsible for the violence last week that set hundreds of cars and several buildings on fire with Molotov cocktails, including a parking garage fire that forced the evacuation of residents of an adjacent apartment block. After setting cars on fire, masked Muslim youths waited to pelt with rocks any police responding to calls. Husby residents claimed the violence was in retaliation for the police shooting death May 13 of a 69-year-old man. The police claim they were acting in self-defense, shooting the man after he attacked police with a machete when they broke down the door to an apartment where the man had locked himself up with the woman. Several YouTube videos by amateurs show graphically the violence in Husby beginning May 19. Reports indicate Megafonen, a “youth activist group” funded by the city, planned the Husby riots. Police in riot gear scuffled with Muslim gangs roaming freely in Husby. Some 200 organized Muslim youth rioters armed with rocks and Molotov cocktails stood near the burning cars awaiting to pelt with rocks and Molotov cocktails police and fire departments responding. The Muslim riots in the suburbs outside Stockholm bear a strong resemblance to the Muslim riots that began Oct. 27, 2005, in suburbs outside Paris. When police and fire department units respond, the Muslim rioters lie in wait to pelt them with rocks, sticks and Molotov cocktails. In February, the Economist reported that in Sweden, only 51 percent of non-Europeans have a job, compared with over 84 percent of native Swedes. In Sweden, 26 percent of all prisoners and 50 percent of prisoners serving more than five years are foreigners, the Economist detailed. Nor is the conflict limited to social-demographic characteristics and economics; it also extends to cultural differences. “Nordics fervently believe in liberal values, especially sexual equality and freedom of speech, but many of the immigrants come from countries where men and women are segregated and criticizing the prophet Muhammad is a serious offense,” the Economist concluded. A man believed to be a British soldier was beheaded and hacked up with a meat cleaver by two men, who were then shot by police in London Wednesday afternoon, authorities say. The victim was cut up “like a piece of meat,” said one eyewitness to the slaughter, which occurred in broad daylight near an Army barracks. The shocking slaughter in the Woolwich area of southeast London was being treated as a possible terrorist attack. The Times of London reported that one of the attackers screamed “Allahu Akhbar,” Arabic for “God is Great,” as he and an accomplice hacked away at the defenseless victim. “These two guys were crazed,” the eyewitness told LBC News. “They were hacking at this poor guy, literally chopping him, cutting him, like it was a piece of meat. We thought they were trying to remove his organs. Both suspects were taken to a local hospital, one of them in serious condition. The dead man was said to be wearing a T-shirt for the British military charity “Help for Heroes.” The attack, on normally quiet John Wilson Street, began shortly after 2 p.m. London time. “One man was being assaulted by two other men,” Metropolitan Police Commander Simon Letchford said. Nick Raynsford, a Labor Party member of Parliament who represents the area where the attack occurred, told Sky News the attack may have started because of a traffic accident, but added that was speculation. “We will be trying to do everything possible to try and ensure calm in the area,” Raynsford said. “The police were telling us to take an alternative route to get to school. There were police everywhere,” she said. The incident occurred close to the Woolwich Barracks in London. 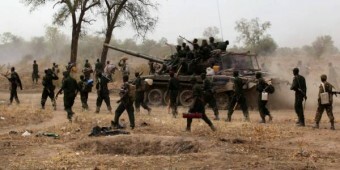 Sudan’s Islamic government was dealt a blow this week when its attempted strike against rebel groups Sudan Revolutionary Front and the Sudan People’s Liberation Army-North was beaten back. The strike was in retaliation for the SRF’s successful campaign to capture the North Kordofan village of Um Buwaba. One report says the Sudanese army lost over 400 soldiers in the counterattack. International Christian Concern’s Africa specialist William Stark told WND that despite efforts by Sudan President Omar al-Bahir to paint the rebels as Christian troublemakers, the SPLA-N and the SRF aren’t completely Christian. “In Sudan, the SPLA-N situation is primarily a political conflict that has some religious elements,” Stark said. 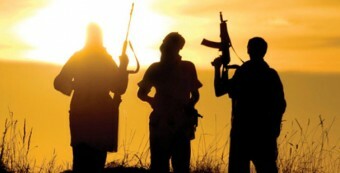 Yet Open Doors-USA spokesman Jerry Dykstra says the Sudanese government is calling for a holy war against the rebels and increasingly turning the teeth of its attacks on Christians. “Since the Sudan Revolutionary Front’s successful take of Um Rawaba in North Kordofan, the government of Sudan has embarked on the mobilization of people and have called for support to jihad,” Dykstra said in a statement to the press. Dykstra adds that the successful military operation only intensified an existing anti-Christian campaign. “Sudanese Christians have seen a drastic increase in pressure, with the closing down of churches and expulsion of foreign workers,” Dykstra said in a statement for the press. Dykstra adds that the regime is turning its anger on the Orthodox Church in Sudan. “It seems that the Church in Khartoum may expect renewed scrutiny and accompanying pressure,” Dykstra said. “The Sudan Tribune reported on Tuesday that the chairman of the Islamic Centre for Preaching and Comparative Studies, Ammar Saleh, slammed his government for not taking decisive action against missionaries operating boldly in the country,” Dykstra said. “According to Saleh, cases of apostasy and atheism are on the rise in Sudan, while authorities are negligent in addressing the issue. According to the independent media agency, Saleh appealed to the official bodies and the community to take a stand against Christianization,” Dykstra also said through a press statement. A report issued by Open Doors, USA says that Islamic authorities in Sudan claim that 109 people have converted to Christianity. Stark says the government counteroffensive was expected. The Christians can expect retaliation even more. Stark says the combined SPLA-N and SRF offensive is part of larger strategy to potentially win separation from Sudan for the Nuba Mountain and Kordofan regions. Stark adds that there is one major reason Khartoum wouldn’t let the Nuba Mountains go. “The reason the Nuba Mountains were included in Sudan instead of South Sudan is because of the oil fields located there,” Stark said. Stark says the government’s counteroffensive will attempt to punish the Nuba people. “Because this group is active in the Nuba Mountains, the Khartoum government is bombing the region, indiscriminately. This obviously affects the civilian population,” Stark said. Eibner agrees – the people can expect more bombing. “Knowing the political culture of Khartoum, they will want to retaliate in a big way as soon as possible and to do so with a lot of rhetoric against the infidel enemy,” Eibner said. Reports coming from Sudan indicate that retaliation has been swift and brutal. Nuba Reports says that Sudanese Air Force bombers have launched air strikes against civilian targets. One of the attacks was on the village of Kumu, killing one person. A second attack was on an elementary school. I saw an article this week that I first thought was a joke … until I realized it was serious. The article linked to an InfoWars headline entitled “Homeland Security Funded Exercise Portrayed Homeschoolers as Terrorists.” Normally I don’t read InfoWars because it’s a bit too conspiracy-laden for my taste, but once in a while they break amazing stories. As a homeschooling mom, this one made my jaw drop. Um, what? Fanatical homeschoolers? What next, drills against radical Chess Club members? Extremist patrons of the New York Philharmonic? Look, I’m the first one to admit that I’m rather zealous about the subject of homeschooling. I firmly believe it’s the best educational option available today, followed closely by private schools. I genuinely wish everyone could homeschool or privately school, and thus shut down the unconstitutional Department of Education whose refusal to allow educational competition is one of the biggest reasons for America’s academic decline. But homeschoolers attacking a school bus? C’mon. That’s about as believable as zealous Chess Club members kidnapping cheerleaders off the football field in order to force them to master the Ruy Lopez Steinitz Defense. Or as believable as obsessive patrons of the New York Philharmonic kidnapping some Garth Brooks fans and forcing them to attend a performance of Beethoven’s Sixth Symphony. In other words, what a STUPID drill. Pointless. Absurd. Unrealistic. Above all, frightening. I have no problem with running drills for terrorism. It is, indeed, quite conceivable that a school bus could be attacked, hence the need for emergency personnel to understand logistics and techniques. As the Sandy Hook shootings tragically demonstrated, soft unarmed targets such as schools and school buses are at risk from deranged groups or individuals. And I clearly remember the Chowchilla kidnappings from 1976, so I understand the necessity of training for such a scenario. It’s no secret that most (not all, but most) homeschoolers are conservative. Homeschooling parents have values we want to pass on to our children, values we don’t want watered down with revisionist history or moral relativism. We homeschoolers love our children so much that we’re willing to sacrifice our time, our resources and often a second income to keep them from being indoctrinated with the progressive propaganda rampant in government schools. And for that, we’re ridiculed, mocked and called everything from child abusers to (apparently) potential terrorists. Gee, who else should we classify as terrorists? Wheelchair-bound grannies in airports? Kindergartners who nibble their Pop-Tarts into guns? Injured vets with colostomy bags? Homeschooling has been steadily increasing over the last two decades (we only have to look at the quality of public education to understand why), and I acknowledge that the government reaction to this trend has ranged from barely tolerant to outright hostility; but the very notion that “fanatical” homeschoolers would murder children on a school bus is vile to the point of evil. The significance of this drill isn’t lost on many people. You see, it’s part of a larger DHS plan to treat anyone and everyone on the right as a potential terrorist. Let’s face it, it’s getting to the point where government officials are attempting to classify anyone who disagrees with them, no matter how law-abiding and innocent, as potential terrorists. Worse, they’re preparing to fight that enemy, even when the “enemy” has done nothing wrong. It is frighteningly reminiscent of the USSR’s psychological warfare tactics in which anyone who disagreed with the Communist government was, by definition, insane and could be locked up in a psych ward. Can no one see these parallels? I suppose I must accept the fact that the America of today is no longer the America that exemplified the concept of liberty. In this new Amerika, the non-brainwashed are a threat to the socialist paradigm. The elites need subjects who will not question either their motives or their morality. The Patricians want drones who will acquiesce to IRS profiling, Obamacare and government stockpiling of ammo. They want Stepford citizens who shrug their shoulders and ask “what difference does it make?” with regards to Benghazi, Fast and Furious and wholesale tapped phone lines. No wonder homeschoolers are a threat. So as a homeschooling mom and a constitutional conservative, I offer greetings from your friendly neighborhood terrorist. We homeschoolers are all over the place, frightening our politicians by winning spelling bees and whupping test scores. My rebel kids are doing things like putting on writer’s workshops and music recitals, writing 90,000 word novels in a month and watching calves being born. Care to join us? Or are you too busy watching your children learn to put condoms on bananas? A full report with many details of the missions has been passed on to U.S. officials and to a congressional intelligence committee. Abdul Rahman Yasin of al-Qaida operations. Why did the Obama administration not prepare for a likely attack on the Libyan mission in Benghazi on 9-11-12 in light of the direct, video threat from al-Qaida leader Ayman al-Zawahiri released 24 hours earlier? Why did the Obama administration not respond in any way to the attacks on the Benghazi mission as they were unfolding? Why was no rescue effort initiated? Why were no contingencies in place to deal with such attacks? Why did the Obama administration’s talking points on the Benghazi massacre change 12 times? It’s been eight months since those terror attacks in Benghazi – and the Obama administration is still stonewalling the truth. Neither is there any statute of limitations on coldblooded murder. Nor is there any statute of limitations on accessory to coldblooded murder. Nor is there any statute of limitations to negligence that leads to coldblooded murder. That’s before we even get to the question of what the Obama administration has done or is doing to ensure there is not a repeat of Benghazi next Sept. 11 or even tomorrow. There is no doubt among the sane, rational, objective, informed American public that a monumental and systematic cover-up of the Benghazi scandal has been conducted by the Obama administration. That’s why this congressional investigation must continue and must be expanded. Perhaps an independent counsel needs to be appointed, because culpability now points directly to the top – not just to Hillary Clinton but to Barack Obama, who literally slept through the slaughter of a U.S. ambassador, other civilian personnel and U.S. military personnel. Americans need to hear the truth, the whole truth and nothing but the truth about Benghazi. No more lies and half-truths can be acceptable. No more spin can be acceptable. No more stalling can be acceptable. Americans don’t want to hear members of Congress tell them that people just die, that those involved understood the risks they were taking. That kind of suggestion is as insulting to our intelligence and demeaning to the memory of the victims of the terrorist attack as anything I’ve ever heard. It’s obvious the Obama administration was thinking about one thing as the Benghazi attack took place and in its aftermath – the November election results. In this case, it’s the absolute, unvarnished truth. The American people need to turn up the pressure on their elected officials for closure on this scandal. Too often, in Washington, members of Congress get distracted by other matters. Too often, in Washington, members of Congress get cold feet and timid in pursuing the truth – even on the gravest matters of national security and matters of life and death. Too often, in Washington, elected officials put election cycles and personal political interests ahead of ensuring that government doesn’t make the same mistakes over and over again. It’s time to demand the truth – and let the chips fall where they may. What was the Obama administration up to in Benghazi? What possessed the Obama administration to make such bad choices? What secrets was the Obama administration keeping that cost the lives of those brave Americans? It now appears that Benghazi was another “Fast and Furious” scandal on the international stage. Somebody or somebodies – and not some sacrificial lamb – need to be held to account for the human carnage and the damage inflicted on America’s honor. It all started when Mikey (yes, Mikey) Weinstein of the Military Religion Freedom organization met with department officials and then wrote that Christians in the military are “monsters” who must be stopped from talking about their faith.